Best Superhero Graphic Novels Of 2008 Don't let the capes and external underwear fool you; no longer escapist entertainment, superhero comics capture the timbre of the times as no pollster can. And this year, the mood is dark. Superhero graphic novels are like fun-house mirrors. Although they warp reality, they have an eerie way of capturing the tone and timbre of America's attitude toward itself, reaching into the crevasses of the national consciousness in ways that no poll can. To wit: the recent huge box-office success of Iron Man and The Dark Knight. This has been a dark year in comics. In the Marvel universe, Captain America died; war continues among superheroes over a new, arguably racist, governmental law requiring the registration of all meta-humans; and an evil Russian company has caused the collapse of the U.S. housing market. In the DC universe, Superman has been transported to a future where atrocities are committed in his memory; and the Joker has been declared sane. Don't let the capes and external underwear fool you. The best superhero comics long ago stopped being escapist at heart and morphed into a place where readers confront their own world-weariness. Arkham Asylum, where Gotham City holds its criminally insane, believes it has cured the Joker, one of the most infamous supervillains ever, and lets him go. Azzarello's story and Bermejo's art (with its gray and dull red palate — think rain and old blood) create some of the most mesmerizingly horrific imagery found this year. We alternate between seeing the Joker as human and wanting him to win, and recoiling in disgust; his mix of posturing and vulnerability are part and parcel of his desire to kill. 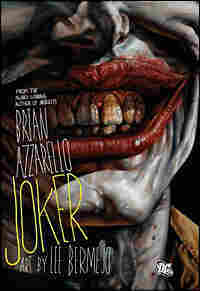 This Joker is a bit like Heath Ledger's, but more manipulative and without the redeemingly goofy, madcap edge. He shows how seductive Mafia-style arguments about loyalty and respect that have saturated our culture in the past decade aren't really about honor among thieves. They're the tools true psychotics use to lead the merely bad-natured. Superhero comics often make violence look cool. This comic is an antidote — it makes violence look sick. 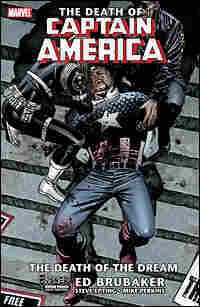 This trilogy starts with the assassination of Captain America, which plunges an already shaky United States into turmoil, and follows Bucky (Cap's former sidekick) and Sharon Carter (the governmental agent carrying our dead hero's baby) as they attempt to fathom the evil plans of the Kronas Corporation. Kronas, it seems, is intent on wrecking the U.S. economy and putting a puppet president into the White House. Together, these three volumes give readers a nightmarish sense of what chaos would look like on American shores. Perhaps the darkest set of superhero books in recent history, this Dickensian trilogy is far edgier than almost anything you'll see in literature right now. Politics and fantastical realms aside, the series' central question — How do you go on after your heroic friend has died? — will resonate powerfully for anyone who's ever been to war or lost a family member in the service. Five years ago, this group of super-powered children defeated their supervillain parents and headed out on their own. Though they'd prefer to be superheroes, they're too frightened by the war raging in the Marvel universe over meta-human registration to announce themselves publicly. The Japanese witch Minoru leads her spunky crew of outcasts — Karolina, a girl made of cosmic energy; Chase Stein, who has a mental link with a futuristic dinosaur; Victor, a young cyborg; Xavin, an alien; and Molly, a tiny girl with superstrength — as they pull a heist for an evil mastermind, bungle their escape and end up in the year 1907! 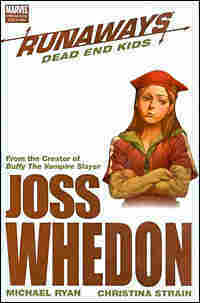 Whedon's wondrously colorful mix of goofiness and morality is ever present. ("How could I know he didn't have powers?" asks little Molly guiltily after decking the Punisher.) And so is his always irreverent point of view. Suspicious of the adults around them, these independent-minded upstarts want to make their own way in life but, like most kids, they're prisoners of the ridiculous world their parents have made. 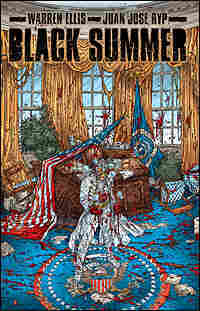 Few comic books have dared assassinate a president, but Ellis, author of Marvel's acclaimed series Planetary, starts his small masterpiece with a superhero turning the Oval Office into a bloodbath. Now, amputee Tom Black, former member of the Seven Guns, must lead the still-active members in catching their former colleague-turned-assassin. Filled with flashbacks of more hopeful times, this hunt for a renegade shows how the damaged resolutions of these once-young heroes slowly stripped them of their morality. The remaining Guns have gone insane through over-use of their cybernetic enhancements and now can barely stand the company of normal humans; only Tom, the drunken cripple, who quit after losing his leg and watching his girlfriend die, has enough sanity left to turn them around. This dystopian tale about the consequences of power demonstrates that, yes, the young can grow up to change the world. But there's no guarantee they will make it be any better. In fact, they usually don't. Superman is the cheeriest of all superheroes — he's always good. 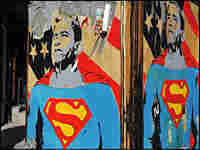 With the current cultural prominence of the anti-hero, Supes had been languishing on the shelves. 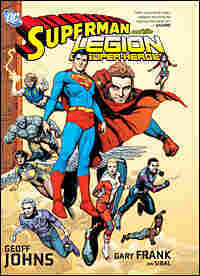 Then Legion of Super-Heroes showed how this perennial leader started as an unsure boy who grew up into an unsure man, and the caped crusader again seemed a hero for our time. In one of those twists that makes emotional but not logical sense, the story sends him spinning off to a future Earth that's preparing to commit genocide in his name. Stripped of his powers by a red sun, Superman must help Cosmic Boy, Saturn Girl, DawnStar and others fight the now-evil Justice League and stop Earth from waging intergalactic war in the name of human racial purity. By focusing on his decency in the face of horror, writer Geoff Johns descends into darkness then gives readers a light they can believe in at the end of the tunnel.